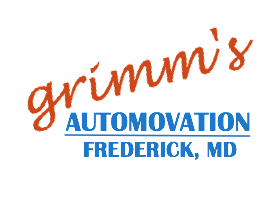 Grimm’s Automovation offers reliable emergency roadside assistance for all makes and models of vehicles in Frederick, MD and surrounding areas. 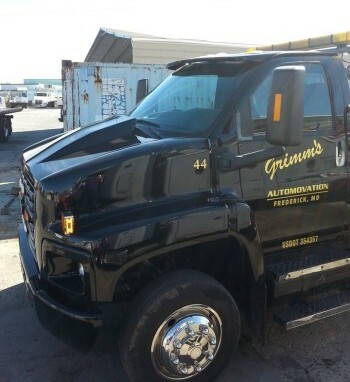 If you find yourself in the unfortunate situation of being locked our of your car or truck, broken down on the side of the road, or in need of a jumpstart, Grimm’s experienced mobile mechanics and emergency dispatch service is here to help. Our service truck is able to repair most roadside breakdowns for all makes and models of cars, buses, vans, motor coach, and trucks including diesel, big rig and semi truck repair. Contact Grimm’s Automovation for roadside assistance in Frederick County, MD or surrounding areas in Montgomery County, Loudoun County, Washington County, or Carroll County at 301-694-6613 today!